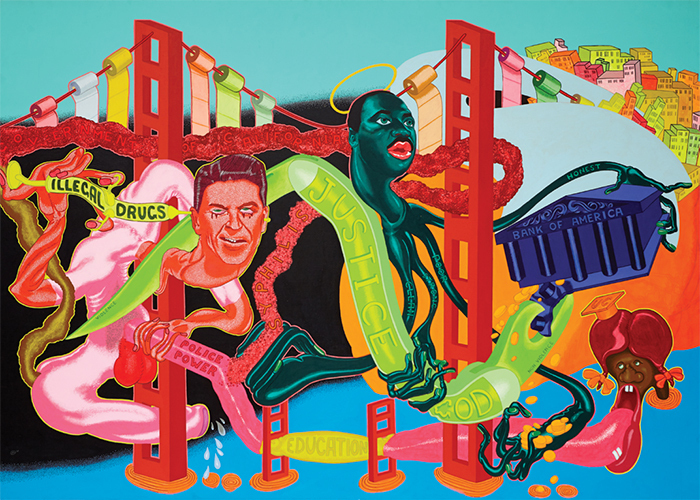 Peter Saul, The Government of California, 1969, acrylic on canvas, 68 × 96". The wonderful exhibition “Peter Saul: From Pop to Punk”challenging, engrossing, troublingwhich consisted of sixteen ambitious paintings and five equally ambitious drawings from the 1960s and ’70s, was woefully mistitled: There was nothing waywardly adolescent about this show, nothing punk, as I understand the meaning of both word and style. 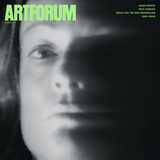 Indeed, with the passage of half a century, these paintings seem even more centered and gravely pertinentprescient, evengiven the ghastly world we now live in than they did when they were first championed by Allan Frumkin, the placid but remarkable dealer who impulsively took the artist on, surely with no hope of profit, considering the unrelenting aggression reflected in Saul’s amalgam of surrealist cartooning and the day’s politics.